“My favorite thing in the world is surprising an audience by changing it up with an actor who they think they know,” says director Paul Feig, who has a résumé to back that claim up. Since making the switch from TV to film, Feig, the creator the 1999 cult show Freaks and Geeks (executive produced by Judd Apatow), has turned a mainstream sitcom lead, Melissa McCarthy, into a crass, badass superstar (beginning with 2011’s Bridesmaids); revealed the funny bone in deadly serious action star Jason Statham (2015’s Spy); and transformed Chris Hemsworth, famous for playing Thor, into a hilariously vapid bimbo in 2016’s Ghostbusters. The film, adapted from Darcey Bell’s 2017 novel of the same name, pits wide-eyed mommy blogger Stephanie (Anna Kendrick) against secretive fashion executive Emily (Lively). When the latter suddenly disappears after asking Stephanie to get her son from school, Emily’s violent past begins to emerge. Emily’s opening scene had to immediately distinguish her from “a school full of parents wearing Lululemon tights,” says Feig. His first instinct: “a men’s jacket and no top.” Lively pushed back. “We’ve seen that version of female sexuality so many times,” she says. His self-imposed guidelines include “Respect your characters, and don’t be mean-spirited. Also, have women vet everything! There’s been plenty of times where the women in my cast, or my producing partner Jessie Henderson, will say, ‘Look, women wouldn’t do that.’ I say, ‘Awesome! 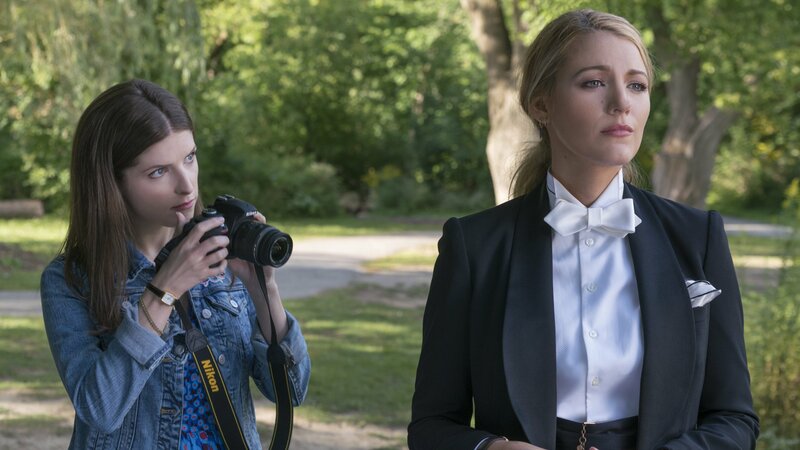 Tell me how you would do this?’"
A Simple Favor opens nationwide September 14.